increase the engine power. Fuel supply regeneration leads to increased fuel combustion quality, which provides increased engine capacity by 3 – 5%. Decrease fuel consumption. Improving the quality of the fuel combustion reduces its usage. decrease exhaust CO/CH emissions up to 50 %. The sediment on the bottom of the can is the main working element of HPFP - these are microparticles of minerals. It is strictly important to thoroughly mix (by shake) contents of the can before pouring it in the fuel tank (sediment color depending on the release batch can vary from light green to black). Overdose of compound by 1.5-2 times is not dangerous for the engine and does not disturb its work. The precise dosage of the compound is 1 ml of compound per 1 liter of fuel. 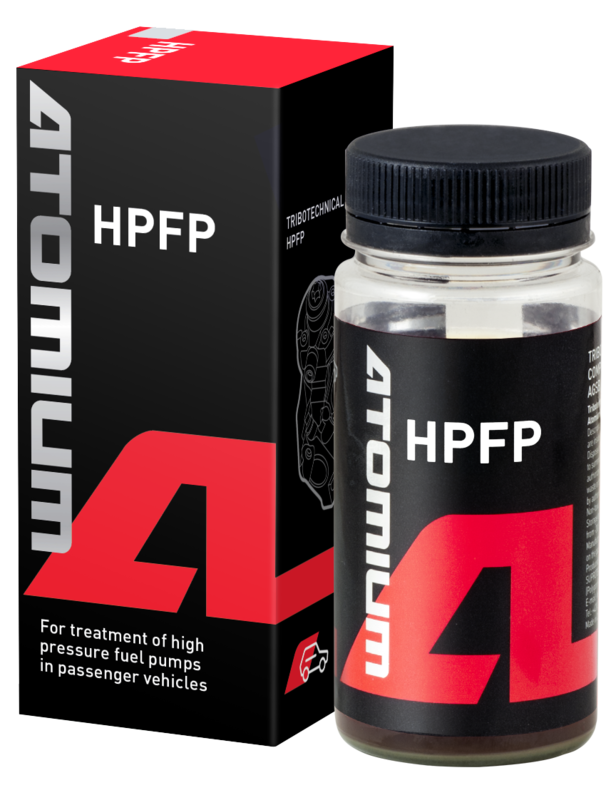 Compound HPFP does not affect the characteristics and status of parts made of composite materials and rubber. Stir compound HPFP thoroughly until natural sediments (active components) are totally dissolved. Add ½ can of compound in the fuel tank before next refueling. (See the marks on the label edge). Fill a full tank of diesel. Immediately after the procedure, you can use the car as usual. 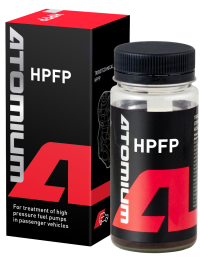 Stir the rest of compound HPFP in the can thoroughly until natural sediments (active components) are totally dissolved. Add the rest of compound HPFP from the can to the fuel tank before next refueling.